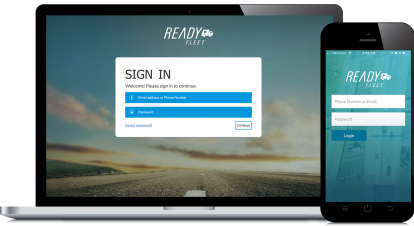 Try Ready Fleet for FREE! Distracted driving due to cell phone usage can cost a business everything. Start gaining visibility on what your drivers are doing in your vehicles as early as tomorrow! Or Call 844-233-1951 to get set up today! Put the control in your hands to eliminate the risks and liabilities associated with Distracted Driving. Ready Fleet is the only fleet management solution with distracted driving prevention. 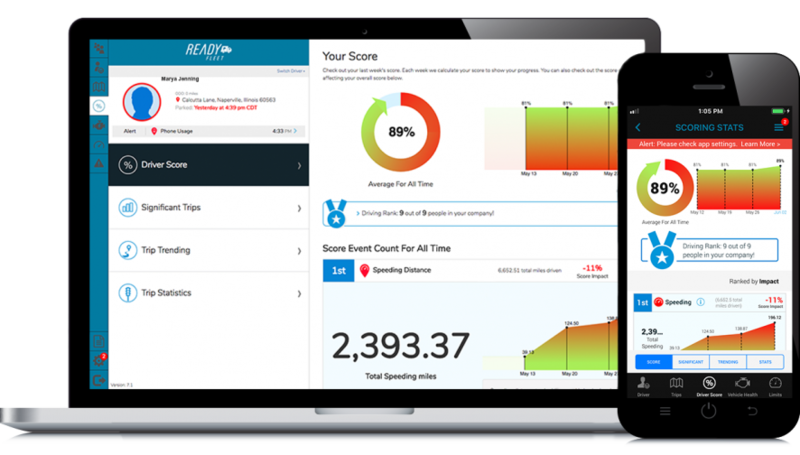 Business owners and fleet managers using Ready Fleet have the ability and control to eliminate phone distractions at the network level, before they ever reach drivers’ phones. 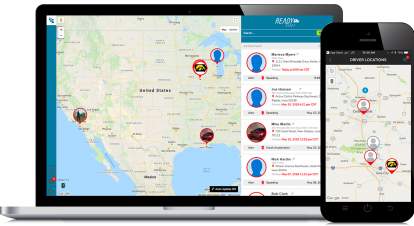 On top of distracted driving prevention features, Ready Fleet has the normal fleet tracking tools you’d expect from a fleet management tool. 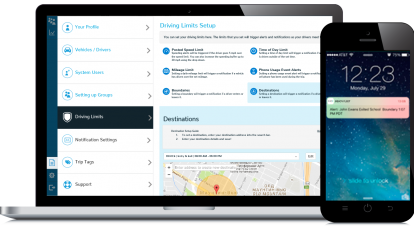 And you can track your vehicles from both desktop or mobile devices. Identify texting while driving, harsh braking, create safer drivers and reduce accidents. 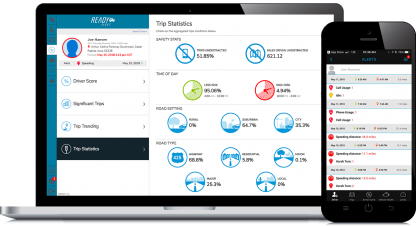 Alerts show on trips where risky behavior occurred, like phone usage, speeding, harsh braking or crossing a set boundary line. Driver score cards allow you to review drivers' weekly scores and stats for phone usage and harsh driving events. Always know where your drivers are throughout the day and route vehicles with current traffic in mind, through real-time location tracking and traffic awareness. 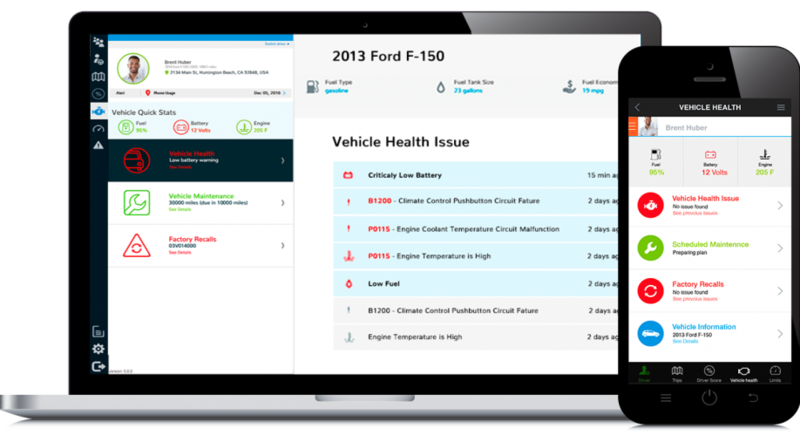 Keep track of scheduled maintenance, battery health, engine temperature alerts, fuel levels and diagnostic trouble codes (DTCs) for your vehicles. With real time notifications you'll be able to keep your vehicles on the road and your customers happy! 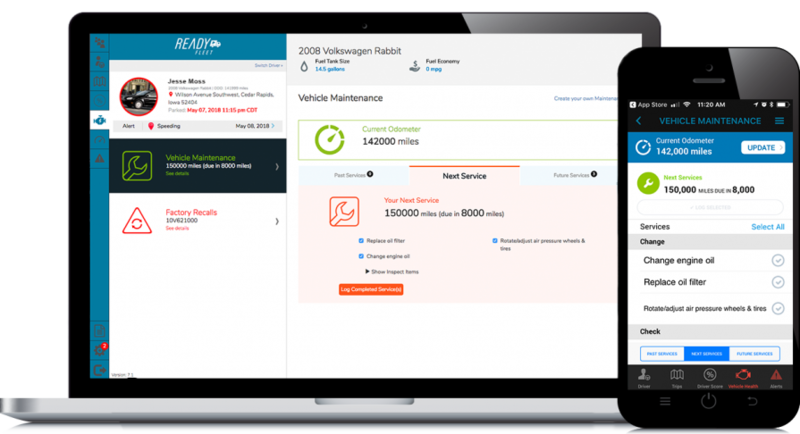 Easily setup custom alerts and notifications for your fleet and stay up to date in real time. Keep costs under control with visibility into fuel usage, idle time and fill-ups. Stay up to date at the office or on the go with web and mobile apps.